I just wanted to let all my faithful readers know that today will be the last day I write my blog for at least another week. Days of strength lie ahead over the next week and I covet your prayers. I will be going to India to take 505 children suitcases full of goodies. I cannot wait to see their tiny faces, their large brown eyes and hear their squeals of happiness. I will be greeted at the airport by a few of the children and I will kiss, hug and cry as my heart gives them a big grandmamma hug. I am excited can’t you tell! I will pray for the widows and hope to touch their lives in some way with the love of Jesus. I expect signs, wonders and miracles to take place as I stand upon the Word and God’s Spirit working through me. I cannot wait to tell you all the things God is going to do! Until my next blog, keep praying for us, our children and Mercy29. Love to all! Prayer: Lord I thank you for your faithfulness and Your Spirit, Your Word and how it reigns in my life, in my heart and soul. I am glad you never leave us and you always give us days of strength! In Jesus Name. Amen. Many people don’t know slavery still exists and yet those who do, try not to think about it. They turn the other way and pretend it doesn’t exist or they don’t wish to get involved in trying to stop the cruelty of human beings. I was completely unaware of it until I myself came face to face with a reality that changed my thinking. It must have been close to one hundred degree weather when I met these children in a mining pit in India. I was hot and I was not prepared for the facts. There is more slavery today than what existed in all four generations of African slave trade in the past. As I sit here this morning, drinking my warm cup of coffee and bread in the oven, I am blessed. I am warm, I am loved and I am taken care of with hope for tomorrow. 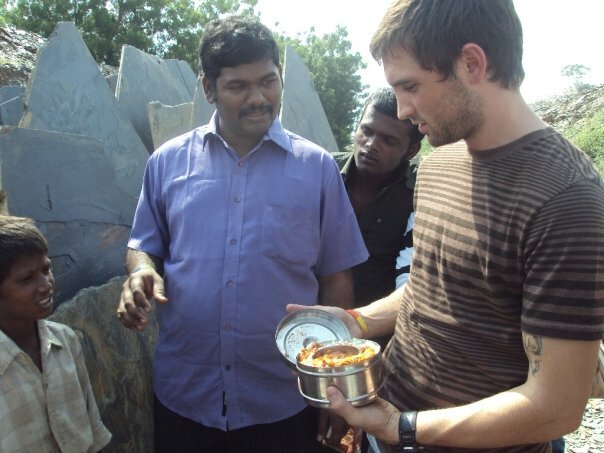 As I recently visited India, I was exposed to much hardship and poverty. I saw the cruelty of slavery. They have little hope to be rescued and the love they may receive has a distorted view. They are abused and scarred for life physically, emotionally, mentally and spiritually. Let me introduce Anitha. She was a slave in a rock mines in India. There they dig out granite, slate, and marble. Now every time I notice a granite table top or a marble floor I wonder if it came from India. I wonder if it came from the help of children slaves. 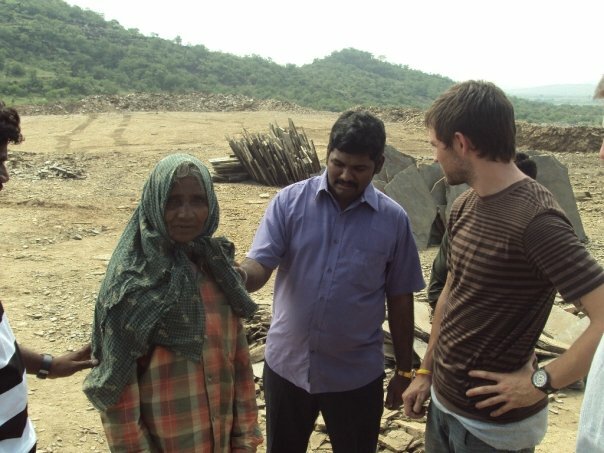 The first time we met Anitha, she stood there in front of us with no smile and she seemed emotionless. Her clothes were oversized, tattered and stained. She did not want to look at us as if she stood in fear. She didn’t know how old she was but we guessed she was around twelve or thirteen because she was just starting to develop into womanhood. As we asked her questions, we found out she had been there for about a year. She was sold to the owner of the mines for around $250.00. Her parents were as many parents in India who face starvation and extreme poverty and look for the only solution to surviving. What parents think they are doing is saving their children from living a life of begging, poverty and starving but what they don’t know is the cruelty of slavery and what they choose for their children is actually hell on earth. Anitha gets one meal a day. She works every bit of light in a day and seven days a week. She is beaten if she shows any type of emotion. She cannot cry for if she does, she will be beat. During the day, she could be raped by any of the men who also work at the mines. She must learn how to survive with animal instinct. At night she is prostituted out for more money. She has been forced to abort three pregnancies all before the age of fifteen. She is among two hundred other children who also are slaves. When they reach the age of 19, they can stay and work for $1 a day. Many stay because it has become a way of life for them. They do not even know what life on the outside is like. They walk around living in a numb way, thinking there is no other way. If they leave, then they face the extreme poverty and a life of begging being an outcast of society. With no education, they have little hope. With no spiritual guidance they do not know about eternal life. They are trapped in a small box as of existence of a rat in a shoebox. This is Maridos. He has been a slave as long as he remembers and he doesn’t know old he is. He is believed also to be close to teen years. He shows us his small bucket of lunch. My son asks him if he can taste it. This brings a smile to Maridos’s face. This is his first time to see white Americans and he is curious why we have come to visit this area. He tells us of stories of two children dying just a few days before as rock fell on them. Their hands are bruised, hurting and calloused from the hard labor they are forced to do. There are also stories from another child Hussian who wishes to be rescued. We had promised to return to purchase his freedom so that he too can come and live in our home of Mercy29, which is ten hours from him. His freedom awaits for the amount of $2500.oo. He wants his sister also to be rescued. His sister who is seventeen is also prostituted out at night and has been forced to have nine pregnancies removed from her. We also are saddened to hear the other siblings have committed suicide because they refused to live in this manner. One of the girls we wanted to rescue we found out later that she was sold to a buyer for $5000.00 to go into prostitution in another city. Our hopes to rescue her is now obsolete. We met a one hundred year old woman who still remains working there in the mines. She was brought there as a child slave. She married there and had several children there who all remain in the mines working daily. She does not know about school, education, or life outside the mines. I also asked how come the government officials don’t do anything about this. I was answered with, “they also are paid with bribes to turn and look away”. It is a way of life and survival in this world for most. If you have money, then you have power to run things the way you want. As we left there that day, there was a hole left in my heart. We left our contact person money to return later in the week to purchase their freedom. The owner after several days of negotiating finally allowed us to take Anitha and Maridos out of the mines for the sum of $7000.oo. Many people would not agree on doing this. They may say we only contribute to the cause. We know the owner will buy more children, in turn adding to the cause. By buying the children, he feeds several families and it is the only blessing we see in this however we know the future of the children. Maybe if you put yourself in this spot. Would you walk away from a child in slavery? Can you make the difference in one child’s life by pulling them out of this situation. My hopes in this adventure and in the future is to save as many children as we can. It is so overwhelming and it seems like an impossible task. However, the child we may save, could however years to come be the person who stops this madness of slavery that still exists around the world today. I would love to hear your comments, prayers or solutions on this matter. What are your thoughts? We need a donor who is willing to part with $10,000 or less to make a an entire India village of children happy! Want to buy a gift this year that counts? This year we took on a big project, we want to mail 400 filled shoe boxes to India and we are finding out it is no easy task. You may wonder why I am writing this, but it is for that one who knows how to get the gifts there and reads this blog. A plea for help is what I am asking. Have money and want to give in a charitable way this Christmas? You have found the answer so keep reading. Each shoe box is filled with toys, crayons, pens and pencils, stickers, wash cloths and soap, combs and all other little goodies that Indian children do not have. We have 400 fleece blankets to send, shoes for their feet and clothes too. It is packed and ready to go. DHL wants 1900.00 for 1700 pounds. UPS, Fed EX and regular postal service will run around 8-10 thousand dollars for importing. Going on a ship is the route we hope to go but the things will not make it there by Christmas, in fact it will take around a month to get there, but seems to be the more affordable way. Hopefully less than $4000.00. I called Samaritan’s Purse and they were willing to take all the items off our hands but there was no guarantee where the items would go. We wanted them to go to Kakinada to the orphanage there. Call it what you will, maybe poor planning on our part or the “assuming” it won’t cost that much, however the fact remains, it cost money and lots of it. We have been thrown questions or statements such as, “You should have just gave money and let them buy the things over there”. You see, first of all, they don’t have the things there like we do here, and second it is more expensive there and third, it plays a big part here in coming together for a cause. I have seen people come and support this endeavor to help those who are less fortunate. It makes people feel good to help others and when it is the season it makes it right. There is no price to pay for the freedom of the two children from slavery, or the girls from prostitution, or for the starving beggar who we took in off the streets. I wait upon God to send the answer. It is when we step out in faith, God will supply and fill the need. We give and we wait. I am waiting on a response from you, faithful reader who stumbled across my blog. Go ahead, send me a message and fulfill the dreams of an orphan boy or girl in India and provide a way to ship it to them. It is you, who God has called. God Bless! I received a message from young man in which I use to babysit when I was a teen. He told me there is a message being posted throughout his town saying, “It is OK not to believe in God.” It is a slap in the face to us Christians who know there is a God and He makes a difference in all the world in our lives. Although some might not notice, or agree or even ignore the sign, we the people of faith need to step up a bit with an expression of grace. We must extend God’s grace to a hurting person who has needs. God will help them through you. If we ignore the possibilities to help, then we contribute to the sign…..
As a Christian we must express grace and truth in our mission, message and ministry. God has given us a mission to be an instrument of His grace to others. We should always communicate God’s grace by what we say and also by what we do. Your life is a message that people read. You are an ambassador of Christ in both word and deed. We must not only have grace but truth. When people give grace with truth they lose realism. When they give truth without grace it becomes legalism. Religion condemns people and is an act but a relationship with God shows true love. To receive the grace and truth that we need for others we must spend time alone with the Lord every day. We must submit ourself to Him and acknowledge and obey His voice. God will impart His reality to us to be able to pour out to others. The more we sense this reality in our own life the more we will have to give to others. When you touch somebody’s life and those you reach can touch others. Jesus said to make disciples and whether you realize it our not your ministry of grace and truth to individuals may have more impact than if you were preaching to thousands. Let God’s grace flow through you and it will change nations! Prayer: Father forgive us when we do not stand up and proclaim your grace and truth through our words and actions. I pray that we are faithful in reaching others and showing your love to the world. I pray that all people who don’t believe or even know you that you will pour out your spirit on them and take away the scales of unbelief from their eyes. Let our mind be your mind, let my thoughts be your thoughts flowing from me to reach others. I praise you for your grace, mercy and truth. In Jesus name. Amen. 2 Corinthians 9:8 God is able to make all grace abound toward you, that you, always having all-sufficiency in all things, may have an abundance for every good work. Life has many roads. We choose some and some will choose us, sometimes in a direction we are led blinded. We sometimes choose a road that is clearly marked – Dead End, however even knowing the end results we are stubborn. We also see a road in which we find curious, unknown and walk forward into a reality check. This is too, what I found as I journeyed to India. Life has many roads, although we may not see the end, it is a journey to develop our inner man to be more like Jesus. When you are exposed to a culture in which is totally different from what you were accustomed to, it really makes you think. Grateful is the term used to my experience of going to other countries of Africa and recently to India. America has many blessings when it comes to comfort yet it can also make us very spoiled. Going on a mission trip is not a vacation. A vacation should be comfort and relaxing in which you can find rest from everyday life routine. Missions however are totally the opposite and will definitely break anyone’s pious spiritual pride. I found it to be exhausting in all areas of mental, spiritual and physical. The emotional state explodes with overwhelming situations in where you just want to throw yourself down and weep after you have been exposed to a world of much poverty, suffering and heartache. I found myself questioning God and my relationship with Him along with the effectiveness of my prayers. However, He has a way in helping us to be strong when faced with such. It is not everyday, you walk out and come face to face with an orphan child begging on the streets, sick with fever and shoeless. We may however, walk out and see a homeless person but turn the other direction for the callused emotional state we have allowed to take over so we ourselves won’t be affected or infected. It is as though we cannot change the world, so why try? Our own lives become self preserved in our own little world and it is easy to not bother with things beyond our control. We have the privilege to spend $40 on dinner when the same amount can feed a village in a nation who is not blessed as we. Our daily thoughts are usually on ourselves, our family and our realm of thinking of how life should be, caught up in a web of our life without thinking about others. Then it seems when some do branch out into helping others, either you get judged with words of “who do you think you are” or you yourself become the judge of why others can’t feel the burden in which you feel. It is a never-ending tug of war with your emotions pertaining to the spiritual state of mind. The only source of reasoning must come from the biblical aspect of faith and trusting in God to lead you. I pray for much wisdom. I pray to make a difference we ourselves cannot make unless it is with the hands of God. It is reaching others and seeing the love of God in the eyes of people who you don’t know. His love is reaching into, getting infected and affected by involvement instead of turning and walking the other way. Jesus overflowed with compassion, he wept and he became involved with those who others had turned away, judged or ignored. He took the road that no one else wanted to take. Overall, I am blessed to experience what I have when it comes to seeing through the eyes of Jesus with compassion. If we can all just get a glimpse of this, do our part, His Kingdom would move at a much greater pace. I choose to walk down the road I am least familiar with faith and great expectation of seeing God’s hand move in ways I cannot. Prayer: God, through all the roads you put before me, help me to choose the right ones that will enhance not only my walk, my faith level and my dependance on you but also to help me be more like you. Help me to help others along the way giving us all divine knowledge and revelation, walking in your power and glory. Let your spirit engulf our fears and our failures to overcome all barriers. In Jesus name. Amen! This will be my last post before I leave for India. I won’t be able to write again until the first week of November. Thank all of you are faithful in reading my blog. I am ready to explore. I am ready for an adventure of a lifetime. I am ready to explore the heights and depths of God’s love, of His peace of His amazing Spirit. I will walk by faith and give glory to the Almighty. I will be thankful, I will praise, I will worship and I will be humbled. I trust and have faith that He lives within me, going and doing as I do. He goes before me and after me. Let my hands, be His, let my eyes be His, let my words be His, let my steps be His and let my love portray His. Birth within my soul the love of the Father to reach out into a world that I never knew existed because of being miles away, blinded by the chaotic world we live called life. I go forward in leaping with faith and joy to a new level. I will fear not! I am ready to explore and when I return, I will share His wondrous works. It is thirty days till lift off. The only thing I dread is the fifteen hours on the plane to India and the trip home. I have been trying to prepare myself mentally, spiritually and physically for this trip. Although I have a passport I have to request a visa to visit. It is nice having a son who helps take care of things like this. He mailed off our visa permissions yesterday. I was so excited to go to the mail box yesterday and receive $15 for the buffalo campaign. There are friends in Shreveport who are designing a T-shirt for the Buffalo campaign. I am so thankful to have people who have given these last few week and who have a heart to want to help reach other nations. 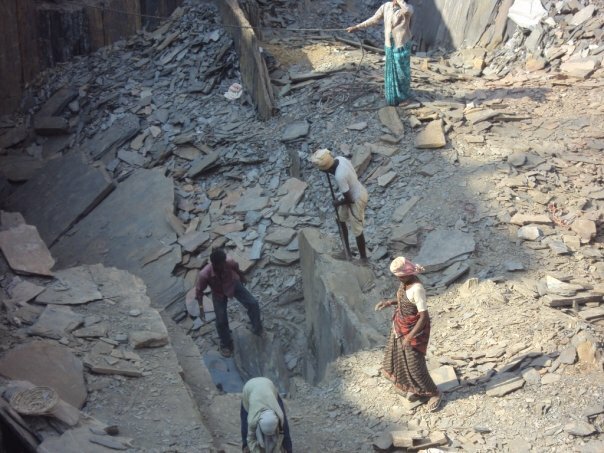 Please pray for the Mercy29 home in India and for the people of India. I personally want to thank all of you who have given funds for Mercy29, you are changing the history of India and in the life of a child. I have received letters from Praveen over the past few weeks that I wish to share. How are you mam? How the fund raising event going on? We all the pastors are praying for you and the team and for your safe journey. There is a lot of need of sewing machines. If there are any sponsors we can buy many sewing machines as there are many women who are interested in learning tailoring school. There are many girls who are being ready for sale. Yesterday itself I had stopped 3 girls from selling to the prostitute buyers. I had asked them to give one month time so that after bro Lyle coming through mercy 29 we will buy them and bring them to our home. One standard Sewing Machine in our place is 7500 rupees to 8000 Rupees that is 190 US $ to 200 US $…This machine will be life time warranty. If we need for less of cost also we can get for 2000 rupees to 4000 rupees that is 50 US $ to 100 US $.but this machine comes with without warranty and it may get damaged in 3 to 4 months. Particularly for stitching bags and purses we need electrical sewing machine which costs around 16,000 rupees to 20,000 rupees that is 500 US $.We can get all the raw material for less cost here itself. The girls make clothes, bags, purses, Bible covers,pillow covers,petti coats,blouses,frocks,school uniforms etc..There are many women, who want to learn the tailoring school, but we need many machines and we have to buy the girls and have to save them from the prostitution buyers. After your coming you can see and surely i can say that you will be crying a lot by seeing these women and the girls. The exchange rate of an American Dollar is 45. Rupees but here in the airport or outside the airport they will pay you around 40 rupees. There is nothing to pay at the airport or nothing to pay to the people in the airport. If any servant like who carries your bags and others etc…You can pay him around 100 rupees which are 2 dollars. There is nothing to pay to any one before meeting me. After your landing I will be there in the airport and I & pastors will receive you over there mam. As you are fighting and raising the funds for the poor and the fund should be helpful for the poor and needy that is my policy. Bro Lyle knows about that and for that only he was much satisfied with me and my works. One more is as we know about the widows who are called untouchable women and unwanted people in the society. It is s great curse for them. 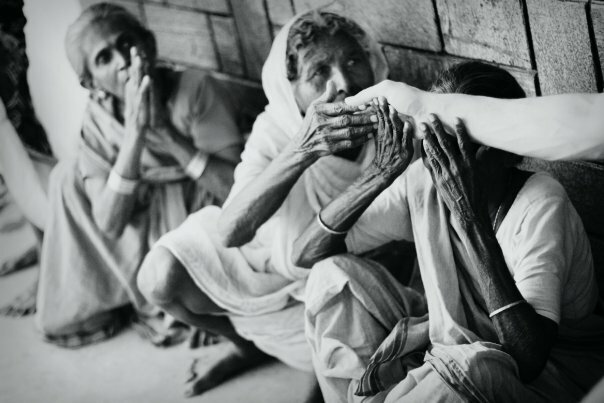 You don’t believe that there are villages called widows village where there are 800 widows in it. All of them are outside of the town. I had seen them and cried for them as many of the young girls are also widows over here. These young women and girls who don’t have any self employment they are going for prostitute business as they don’t have enough food for feeding their Kids. These kids are playing on the roads and some of the kids have been sold to rich people and some women had sold their sons to hospitals where the people uses him and after getting into certain age they will remove the kidneys and eyes and these hospital people make use of it. I will show you those places and hospital too where you can ask those people and you can see how it will be… I had went over there and prayed for them and said to stop doing that sin. Then they can also leave the prostitute business. If there is any possibility for you we can buy some buffaloes for them where they can get the milk and sell them and they can feed their family with that money. As we had plenty of fields where the buffalo eats the grass and some times we can give her some nutrition food for less of cost comparing to other places in India. Each Buffalo costs around 18000 to 20000 that is 450 US $ to 500 US $. Each buffalo will feed ten children twice a day. 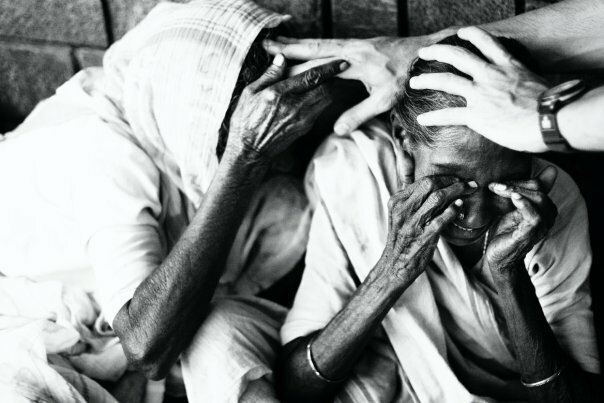 Please keep praying about these widows and remember them in your personal prayers. My vision is to stop them in doing the sin of prostitution and to help them and I feel great responsibility if I had given a chance to help these widows through Mercy 29. About the train journey which is called the safest journey in India. There will be a safety journey with no problem. I am planning to book air-conditioned seats for all of you where you can feel very comfort. There will be no problem at all. And I also thought you can just sleep in the night in the train itself as they are sleeper seats where you can take rest. To go to Kakinada it takes around 11 hours through train. Finally I would like to say that, To fulfill the needs of the people in India, mainly for the girls and for the widows and for the children, and for the pastors we need your prayers as prayers are the biggest gift for fulfilling the needs of the people through Mercy 29.There is no compulsion in giving the gifts to anyone. According to your wish and by the Mercy of God towards the people you can. Keep faith on me and I will provide you good accommodation and food and I had arranged good medical doctor who will be taking care of your health of all your days you stay in India’s promise you that I will not let the guests to be disappointed or to feel lonely among their stay in India. Hope to hear from you mam. In just a few short weeks I will be going to India with Lyle. We will be finalizing Mercy29 orphanage. The widows are in desperate need for a buffalo which produces milk. This milk will be enough to feed them but also many children. The buffalo cost $450 in US currency. It would be great if I could just wave a magic wand or have a million dollars put back to take with me. I am thinking about having a buffalo wing fundraiser after church and play that veggie tale song the entire time. That would really put people in the mood wouldn’t it? So, here I am enjoying the comforts of my morning coffee in which I used the last of the cream, and when I grumbled about it to myself I thought of the buffalo. We take it for granted that we can reach into the fridge and get milk just about anytime. So, if you are wondering why I am writing about needing a buffalo, it’s not for me but for the orphans and widows in India. Our children are so blessed to live in a country where everything is at arms reach. I have had several people tell me they didn’t believe we should be reaching out to other nations because we have poor that live among us and we should help them first. However, yes that is true but the resources we have here are unlimited. Through government programs, help offices and other agencies finding help is not hard. Yet when we look at the children of other countries their way of life is not of plenty but of want with very limited resources. I don’t know about you but sometimes I cannot look at the children they show on TV wanting you to give to a notable charity. These children are real and sometimes it is better for us to ignore and pretend it don’t exist than to reach into our pockets to give. I think sometimes it is wondering if our money is truly going to where they say it is. Maybe it is not trust or thinking my giving is not really making a difference, but it is. Yesterday in our services, Tommy Tenney expounded the story about Esther. She was an orphan who was raised by her uncle. He could have left her desolate, poor and hopeless. Without knowing who she would become, which in fact of Queen, he choose to provide for her. His giving and sacrifice not only changed one life but had an impact upon an entire nation which was saved through her. Our giving changes people, circumstances and lives. Today, I ask you to donate $1 to help me purchase a buffalo. I am asking my readers to mail me only $1 because I don’t think anyone would think this small gift in giving would be too much of a sacrifice. All money will go completely to purchase a buffalo. I am on a mission and my campaign is to purchase a buffalo for the orphans of India. Please mark your envelope Buffalo Campaign Mercy29, the address is 135 Darby Lane, Sacramento Ky 42372 I hope together we can make this happen! You can find out more about Mercy29 on the tab above or by going to the website to donate at http://www.mercy29.org. I thank you for helping me with this project! Prayer: Father I thank you that I live in a land of blessings. I pray we all have a giving heart to help the poor and to reach out and impact our world. Touch our lives in ways that you can work through our hands so we may be an example of your love, compassion and mercy. In Jesus name. Amen.